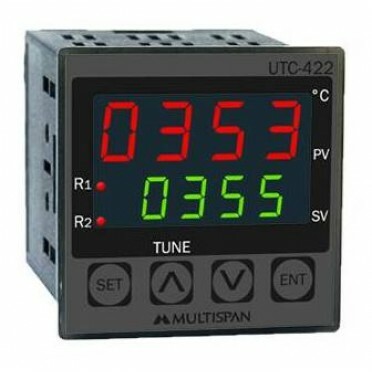 Features & Specifications :Single Display, Dual Set Point Economy Temperature ControllerDisplay .. Features & Specifications :Inbuilt sensor supply, 4 digit RPM indicatorDisplay Type : LEDDisplay.. Description :These Temperature Controllers compare the actual temperature with the desired one a.. Description :These Temperature Controllers compare the actual temperature with the desired one and t.. Features :Display : Upper : 7 segment, 4 digit, 0.56”, RED LED display - Process value &n.. Features :Display : Upper : 7 segment, 4 digit, 0.39” RED LED display - Process value &nb.. Features & Specification :4 Digit Dual Display, Universal Input – Configurable Control Action (P.. Features :Display : Upper : 7 segment, 4 digit, 0.39”, RED LED display - Process value &n..